You can find a series of places that will provide you with the needed space and facilities to exhibit wares or hold meetings. Corporate events can take place in conference venues such as auditoriums, ballrooms, mansions, museums, and even at retreats. However, most businesses generally hold corporate events at conference and convention centers. These kinds of facilities make it easy for professionals in various occupations to convene and keep updated on the latest news in their field and well as practice honing skills in marketing and team building activities. A view of the Mandalay Bay Convention Centre. If you are looking for the ideal place to host corporate events or conferences, you can find a number of popular venues. Probably one of the best places to hold corporate events though is in Las Vegas, Nevada as it is also home to some of the world’s largest conference venues. 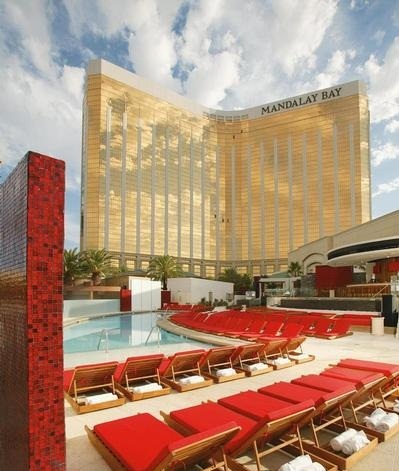 Corporate events are regularly held at the Sands Exposition and Convention Center, the 1.7 Million square feet Mandalay Bay Convention Center, and the Las Vegas Convention Center, which boasts 2.2 million square feet of conference and exhibit space. Research has shown that attendees at corporate events in Las Vegas spend more time on team building activities and in meetings than participants at corporate events elsewhere. Indeed, people do spend time and money in Las Vegas. Convention and conference venues providing space for close to 20,000 meetings and corporate events each year. Conference sizes can range from as little as ten attendees to as many as 10,000 participants. Another large and popular venue for corporate events and conferences is the McCormick Place Complex in Chicago. The conference venue, which is host to around 3 million visitors annually, is made up of four facilities, all of which make up 600,000 square feet in meeting room space and 2.6 million square feet of space for exhibitors. Parking is also available for close to 6,000 cars. In addition, the conference complex features restaurants and retail shops and is linked to the Hyatt Regency Hotel. The Sydney Convention and Exhibition Centre is yet another one of the world’s largest conference venues for corporate events. Majestically sitting along Darling Harbour and close to the business district, the Centre features three main facilities comprising of meeting rooms and an auditorium which can seat as many as 3,500 people. Thirty thousand square meters of exhibit space is also contained within the complex. Another large, popular conference and corporate events venue is London’s Business Design Centre (BDC). The BDC hosts 250 conferences annually and provides space for 100 local companies. The Los Angeles Convention Center is yet another one of the largest convention complexes in the world, featuring exhibit space of over 720,000 square feet or 67,000 square millimeters in addition to 147,000 square feet (or 13,700 square millimeters) of meeting space. A theater that holds up to 299 people is also contained within the facility. Three food courts can be accessed in the building as well.